The Next Big Global Digital Asset Exchange! 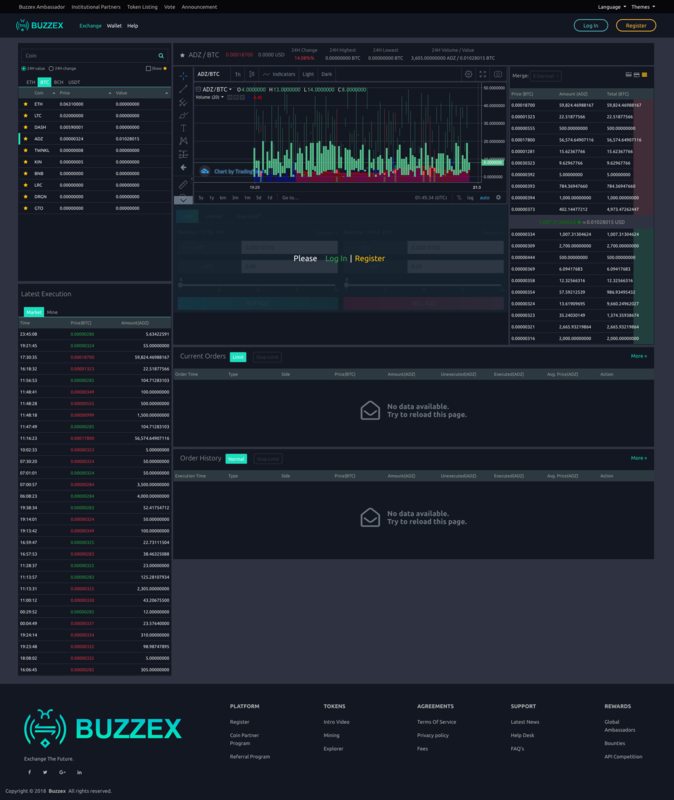 80% Of Trading Fees Earned On Buzzex Are Sent Back To Buzzex & ADZbuzz Members. Holding 20K Or More BZX In Your Buzzex Wallet You Are Qualified To Get Daily Dividends From That Pool. By Holding 1,000-20,000 BZX In Your Buzzex Wallet You'll Get A Discount Of 5-100% For Every trade You Make On Buzzex. Holding More Than 20,000 BZX In Your Buzzex Wallet, You Will Have A Power To Vote For The Coins Which Should Be Listed On The Buzzex Exchange. 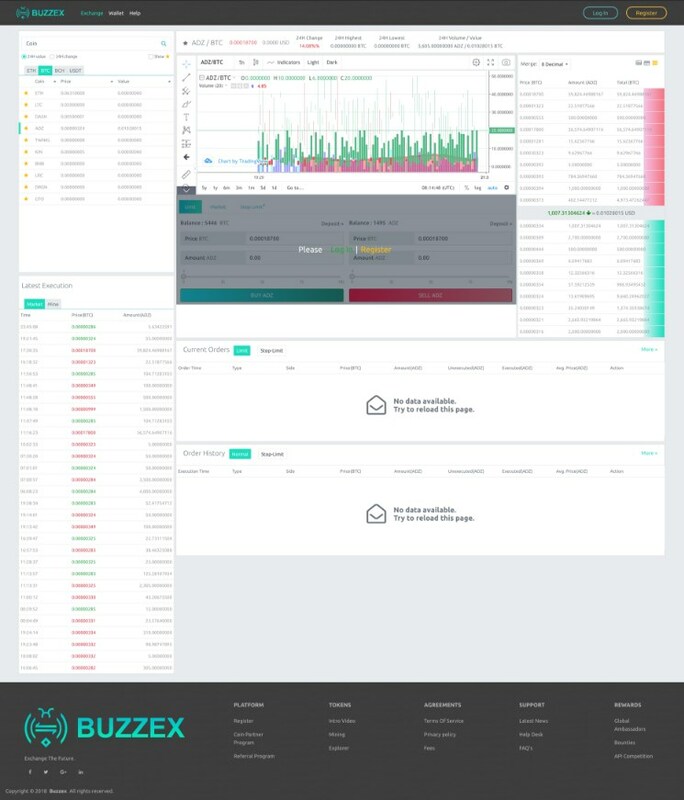 Buzzex Is Staking All Of It's Holdings And Is Sharing 100% Of The Staking Rewards With The Presale BZX Buyers. Purchase Once And Receive A Lifetime Bonus. Buzzex provides an opportunity to trade on multiple exchanges from one platform. This gives the opportunity to trade with the best prices in the crypto market and offers high liquidity from the moment the exchange launches. Global Order Book opens the door to Arbitrage Trading. Buzzex members do not have to trade as Buzzex is trading itself and divides the profit from arbitrage trading between Buzzex members. Masternode Owners Have The Power To Vote On Proposals Submitted By People Who Want To Help Grow The Buzzex Ecosystem. Because Of Masternodes Buzzex Blockchain Confirms Transactions In A Matter Of Seconds. BZX Fees Are Very Affordable Costing You Less Than $0.01 Per Transaction. * You will get 100 BZX (13 USD) from the company after you verify your account by finishing the KYC form. If you join Buzzex using my affiliate link and finish the KYC form I will add another 250 BZX (32.50 USD) to the company’s bonus, making the total welcome bonus 350 BZX (45.50 USD). * Numbers are not updated in real time so they are not reflecting the actual state of Buzzex. Video series "Get To Know Buzzex"